HomeScenario, Inc. offers cloud-enabled solutions for Alarm & Acces Control, IP Intercom, Video Surveillance, Home Automation, Audio/Video, and Energy Management. 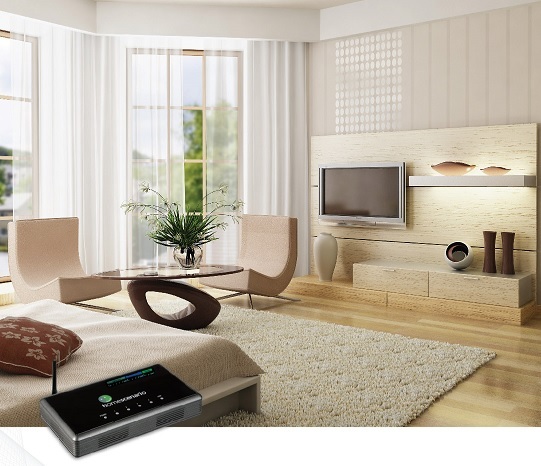 Integrating technologies of wireless control and broadband networking, the HomeScenario solutions make comfort, convenience, safety, security, and eco-friendliness available without the need of extensive and costly remodeling. Our products are designed to work seamlessly with systems such as lighting, thermostat, door access, window shades, security monitoring, audio/video, and more. All of them can be controlled easily through remote, touch screen, PC, or smart phone. Please visit www.homescenario.com for more product information.